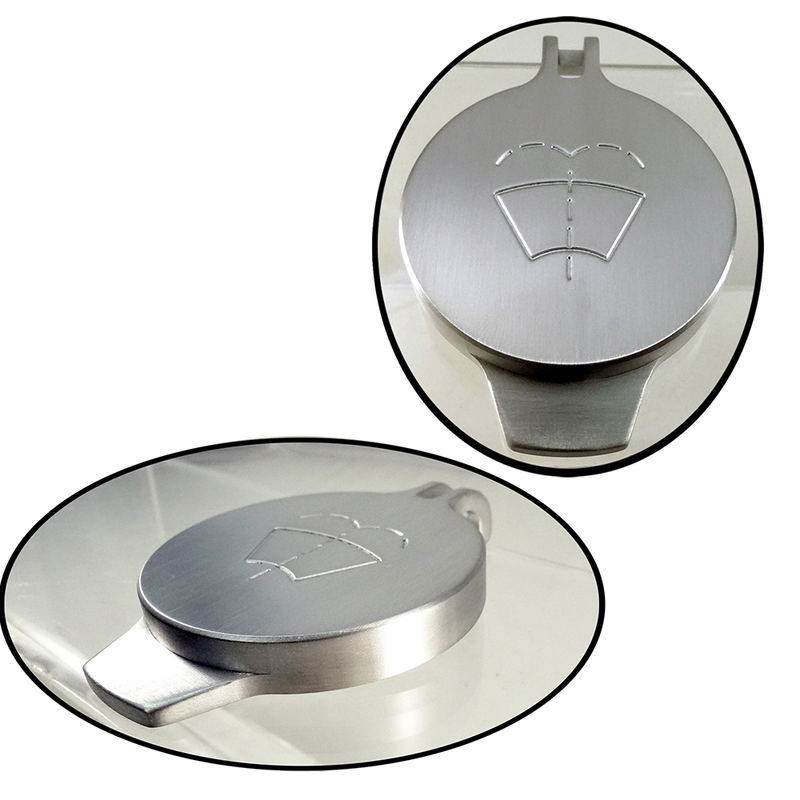 Complete the Billet 'Look' in your Mopar's engine compartment with our new 11-14 Billet Windshield Washer Fluid Cap showing off a machine finish that is setting the industry standard! Improved fit and Function over Factory Design. Simple Plug n Play Install. 100% CNC Machined from 6061 Billet Aluminum for a perfect fit including the Diamond cutter final pass giving it the best finish possible. Installs in 1 minutes no tools required. 2011 2012 2013 2014 Dodge Charger Ram Challenger Durango 2011 2012 2013 2014 Chrysler 200 300 2011 2012 2013 2014 Jeep Grand Cherokee SRT8 5.7L No one else can stack up to the bold clean styling of our aftermarket Billet dress ups, Street Strip & Racing Suspension & Performance Parts for your late model American Muscle Car!